laminates and veneers, excellent for high gloss use (priced per 67” x 118” cut size). general pressing of 3DL, our most popular choice (66 1/8″ & 78 3/4″ width – priced per lineal foot). A best selling product in Europe has become the best seller in North America too! tray is 750 pins (18 mm pin height also available upon request). plate is supplied (one piece construction). to index, easy to reset, and requires no tools (standard pin is 12 mm, also available in 15/18 mm). Go to our VIDEO PAGE to see a video of this item (located in 3D Machinery & Accessories category). move with greater speed, and control, than with other conventional means. This is the same ergonomic body as the standard BS1, but it is machined to have a much smaller sole. without clogging up. Estimated usage is 1,000 parts per pad. the RBM 1500-4. The RBM utilizes an “in-line” conveyed process to reduce labor, and increase your throughput, with an approximate parts volume of 2,000 parts per 8 hour shift (includes infeed conveyor – outfeed conveyor optional). 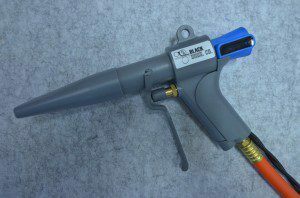 Go to our VIDEO PAGE to see a video of this item (located in 3D Machinery & Accessories category). the same “in-line” process to reduce labor, and increase your throughput; however, with double the number of heads, the approximate parts volume takes a substantial jump up to 4,000 parts per 8 hour shift (includes infeed conveyor – outfeed conveyor optional / picture not shown). Store your 3DL rolls in a space saving, compact, vertical storage rack, at the infeed of your machine. anywhere on the chain. A roll dolly (included) assists in the loading and unloading of the 3DL product. The minimum (standard) roll capacity is based on 19.7” (500 mm) roll diameters. 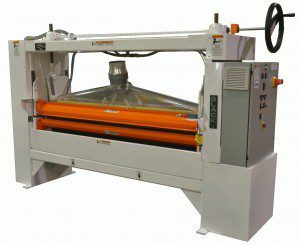 The maximum (optional) roll capacity is based on 11.8” (300 mm) roll diameters. 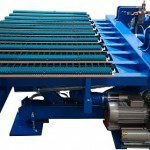 Each machine is supplied with the standard number of shafts/scissors included in the rack price. To add roll positions, a roll shaft and additional scissor set is required for each roll position. Use the kit below to increase the desired amount of roll positions. Optional centering sleeves assist in holding the roll to a fixed position on the shaft. Excellent for creating a fence line. More 3D Laminating Accessories from Black Bros.
in your operation! Call us for pricing today. Standard 120 volt power supplies included (air hose not incl.). 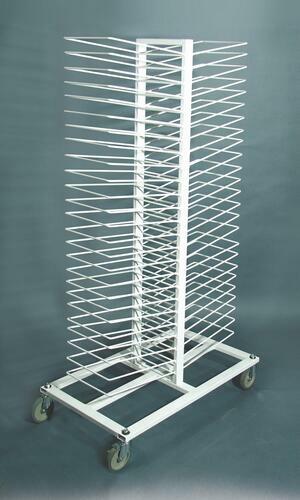 Portable drying racks allow a method for pre-staging components that have been sprayed with adhesive. 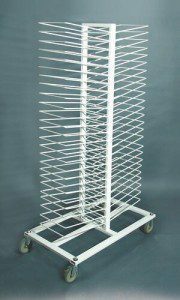 welded steel base, powder coated white finish, with a boxed shipping weight of 125 pounds. a built-in slot in the framework. casters to make it mobile. 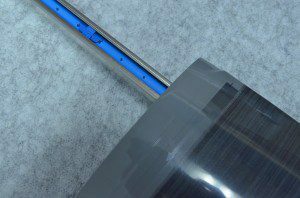 With this device it is no longer necessary to waste time cutting your vinyl manually. This cutter can be mounted either on the frame of a roll rack, to the frame work of the press, or free standing. It is pneumatically powered to cut the 3DL coming into the tray. A single toggle switch controls the cutting cycle (second toggle switch is optional). The cutter uses standard utility knife blades which can be purchased at any hardware or big box home center store. For a fully automated approach, the best option is this hands free method of both pulling and cutting the 3DL during the process of loading the tray. The operator initiates the cycle from the remote console, and the pulling mechanism pulls the laminate over the tray, cutting it to a pre-set length. This device works in conjunction with our 3D-SmartPress. In a fully automated press line a flipping unit is essential for the productivity of the press. 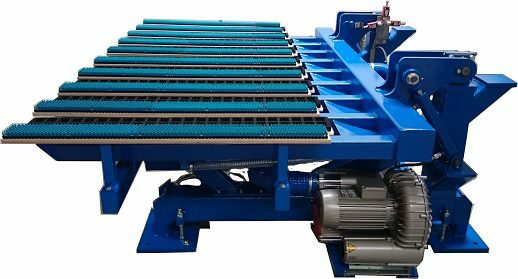 Once parts have been processed, and have exited the press, the flipping unit engages that tray and unloads the entire tray through means of a vacuum system. The load is inverted 180° and now readily accessible for trimming. 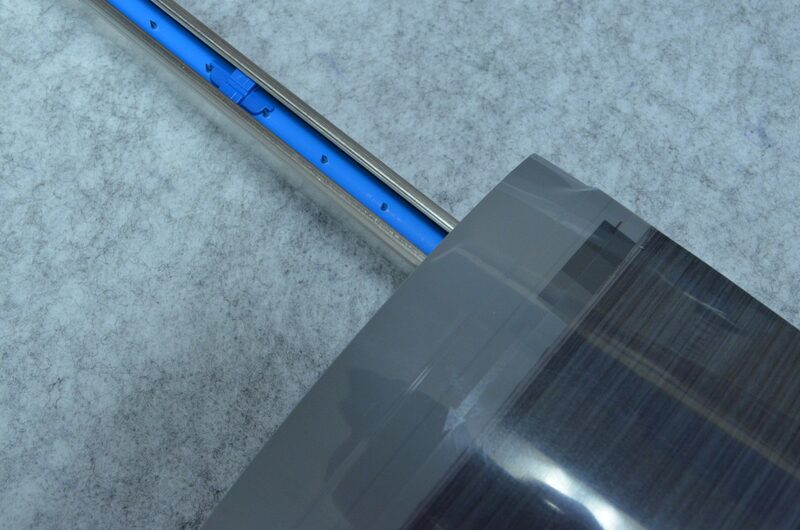 A reverse flow of air from the vacuum system makes removal of that load more user-friendly. Optional belt and/or roller conveyors may be added to facilitate handling of trimmed parts to a down-line trimming cell. Go to our VIDEO PAGE to see a video of this item (located in 3D Machinery & Accessories category). dual infeed/outfeed drive rollers. An air knife system is optional.